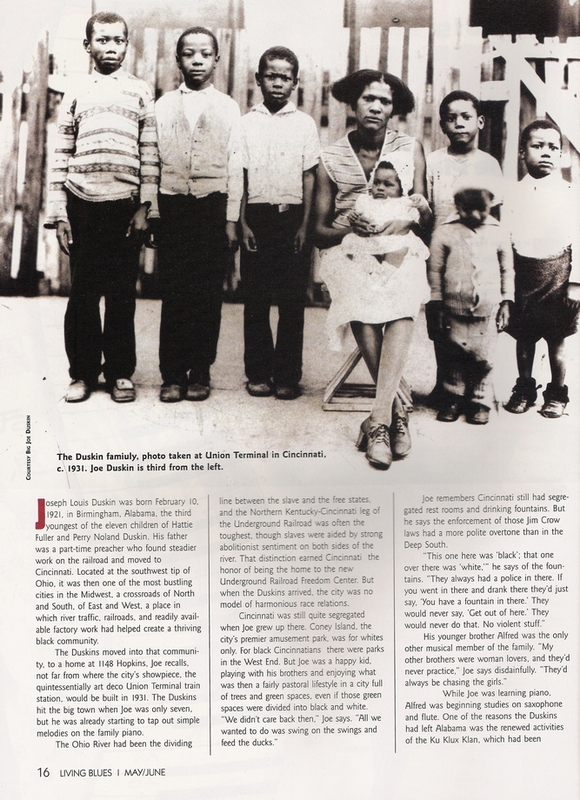 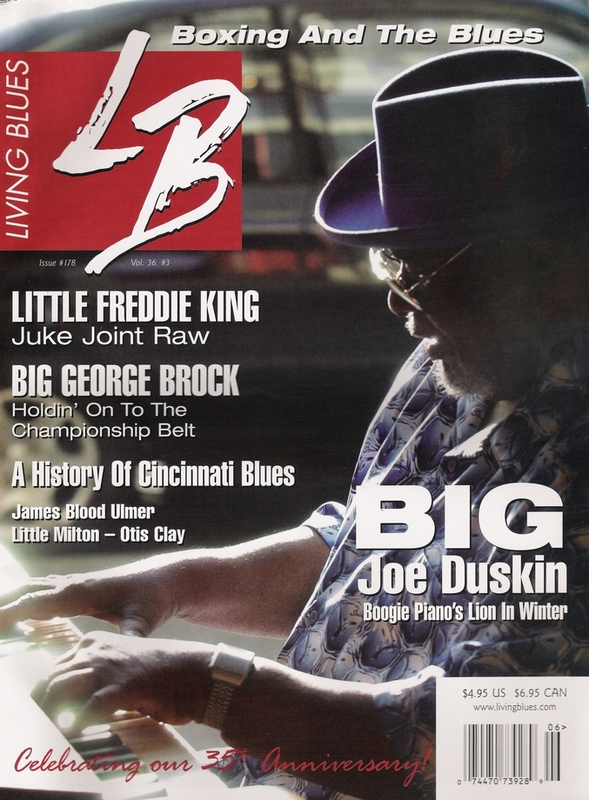 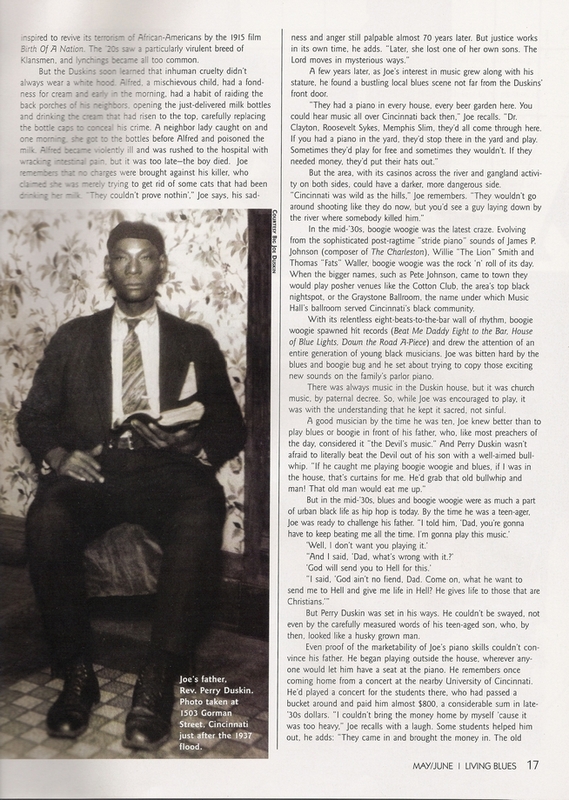 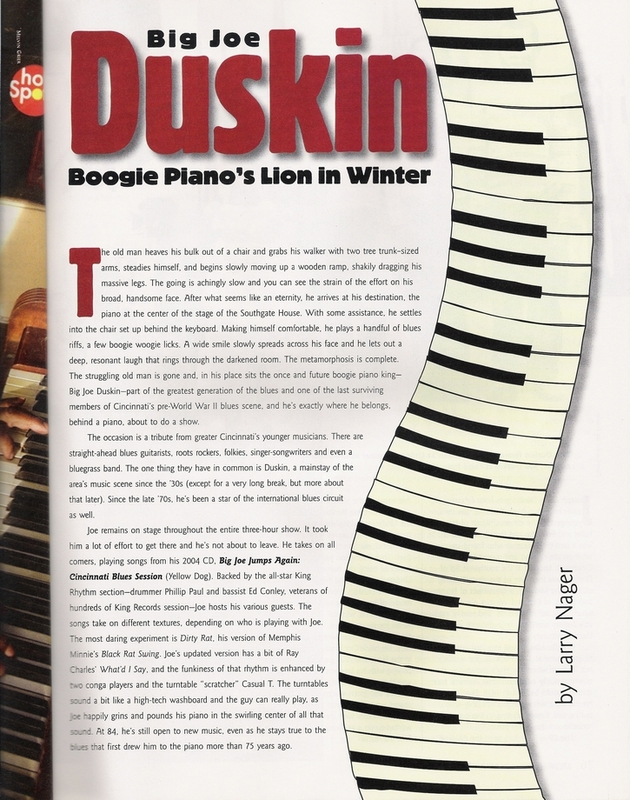 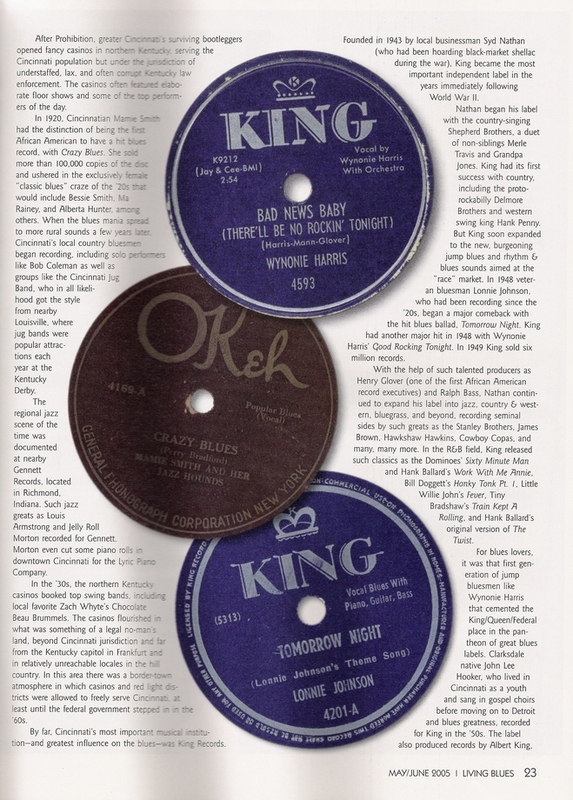 The best biography of Big Joe Duskin was the article Larry Nager wrote for Living Blues when Joe made the cover. 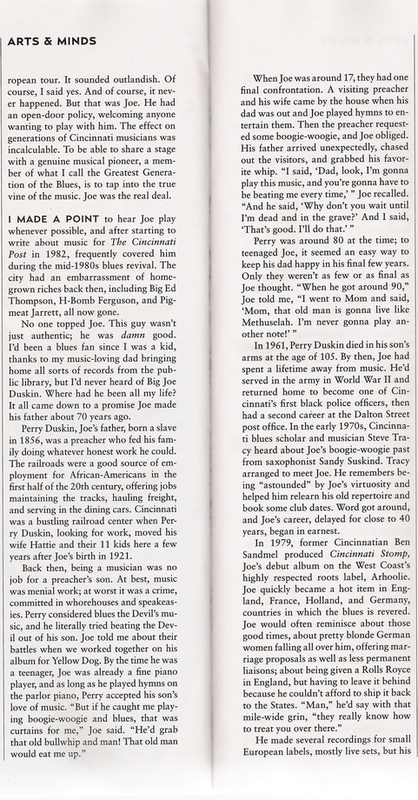 Larry was instrumental in arranging Big Joe's final CD and getting Peter Frampton, Philip Paul and Ed Conley to perform on it with him. 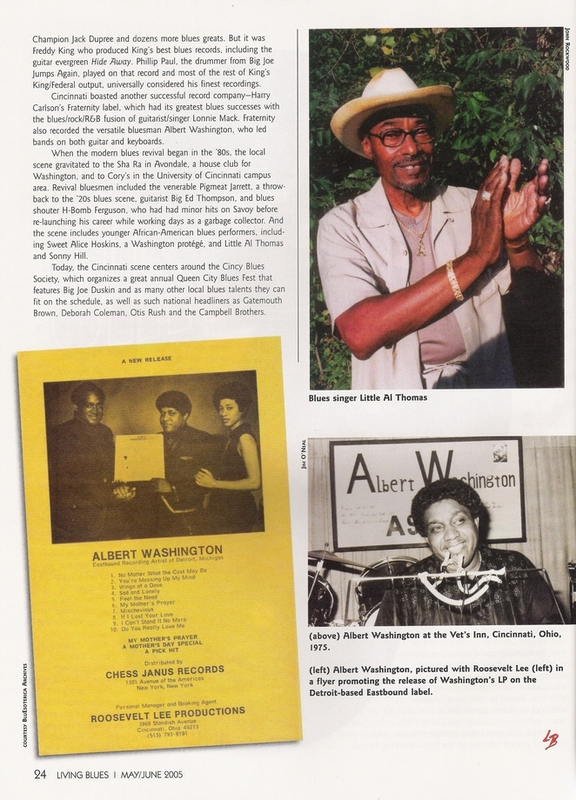 This is the CD that was nominated for a W. C. Handy Blues Award for Comeback CD of the Year in Memphis. 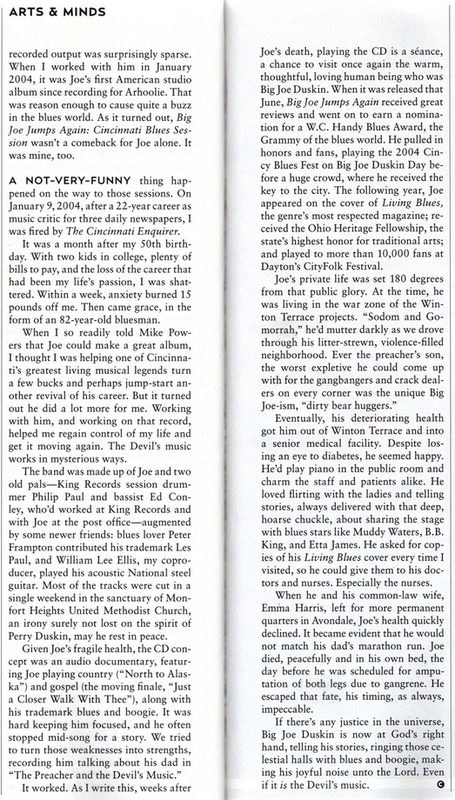 Unfortunately, Gary "U.S." Bonds won, but Joe had a great time at the awards and performed on stage. 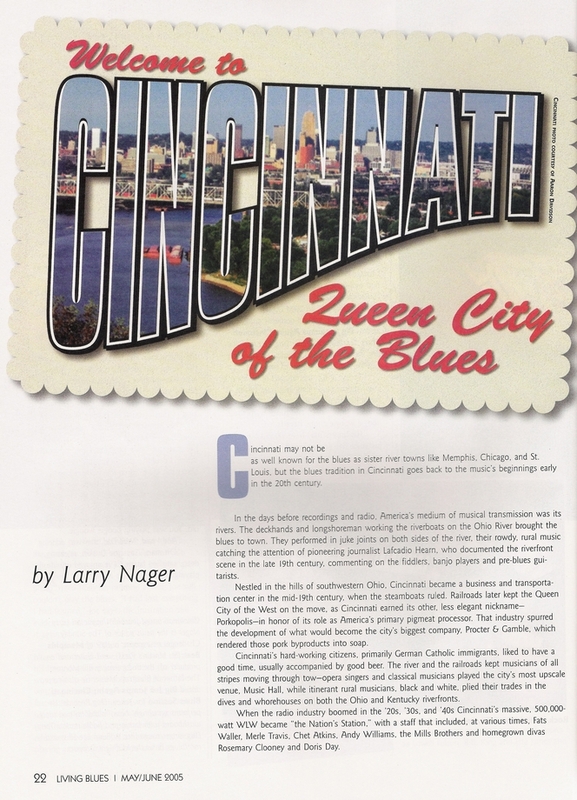 Larry Nager is author of "Memphis Beat", has been music critic for Memphis' "Commercial Appeal" and Cincinnati's "Enquirer" newspapers and is currently living in Nashville. 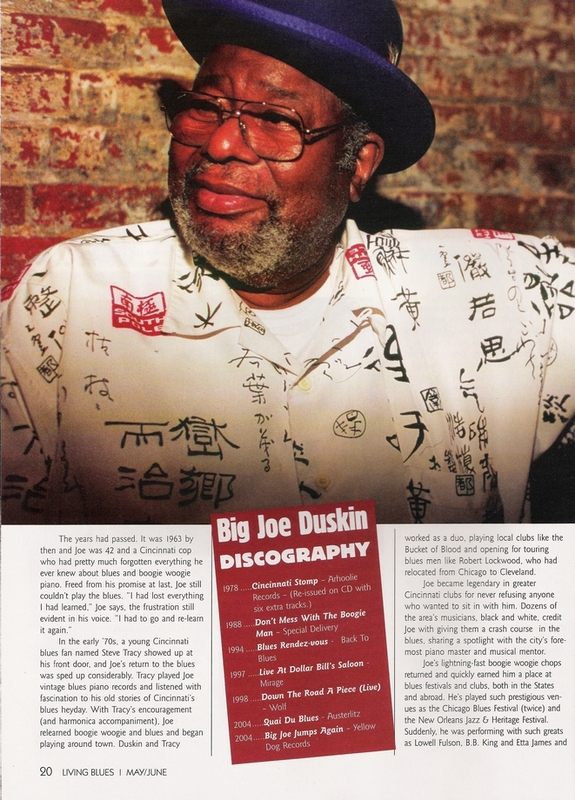 Big Joe performed at the New Orleans Jazz & Heritage Festival in 1989 and 2001. 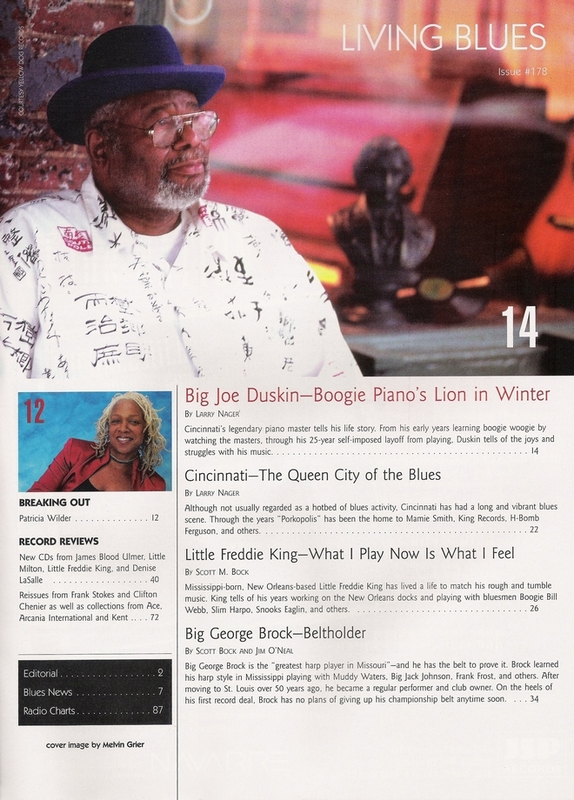 He was also the first inductee to the Boogie Woogie Piano Hall of Fame and the first inductee into the Cincinnati Entertainment Awards (CEA) Hall of Fame in 2004. 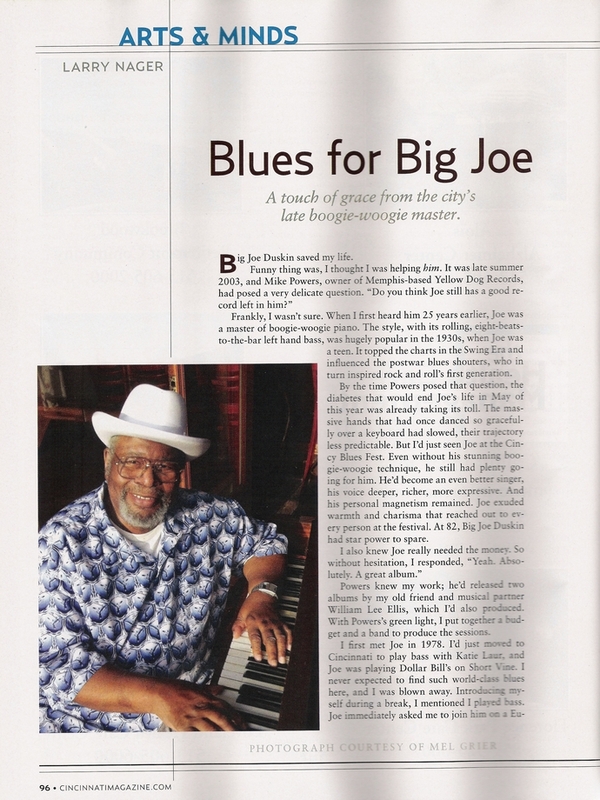 Click here for a nice City Beat article about him. 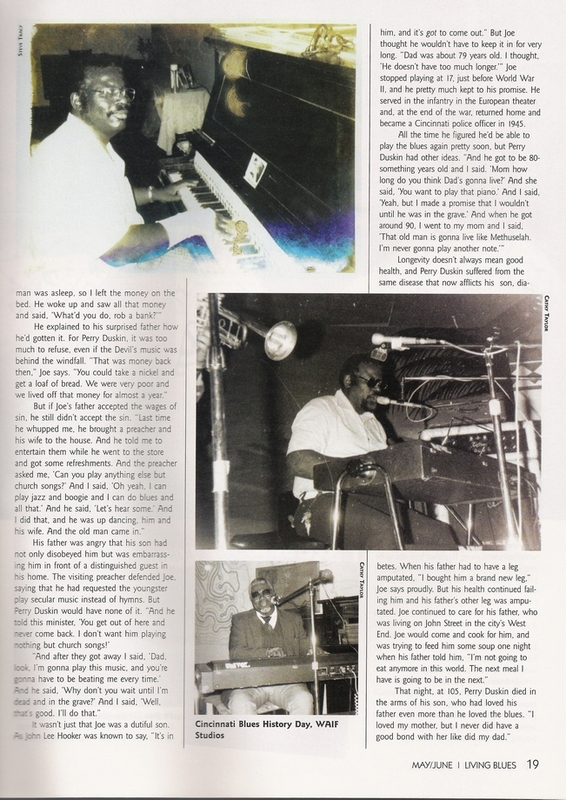 Wolfgang Wolf sent us some great pictures of Big Joe with him and some friends in 1980-1982 when he toured Europe. 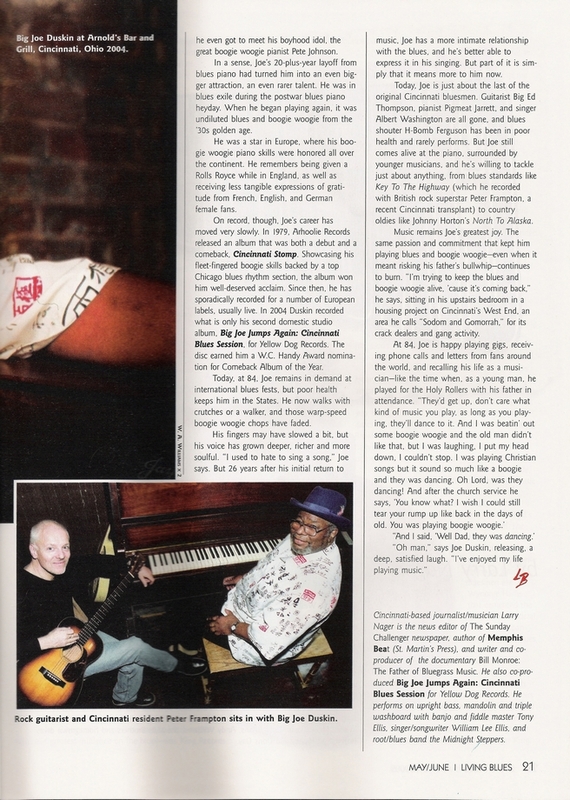 Tobias Hounsham sent us a great letter about Big Joe visiting his house in London while he was on tour in 1988 and teaching him some boogie-woogie.